(MoneyWatch) Most tax filers are getting a refund after they file their 2012 return. With the average refund running about $3,000, a lot of people will be thinking about what to do with the extra cash. If your income barely covers your monthly expenses and you're incurring debt, then getting a sizable tax refund at the end of the year is not a smart use of your cash flow. Instead, you should be reducing the taxes withheld from your pay, which increases the amount of your take home pay. That gives you more cash flow to pay off debt all year long. Of course, your tax refund will be lower because you had less tax withheld from your pay. Still, it's hard to argue that getting a tax refund doesn't feel good. Tax time also looks like splurge time for a lot of folks. According to recent surveys, 30 percent plan to spend their refund on everyday expenses and necessities, while 23 percent plan to put the money toward vacations. Before you let your tax refund slip through your fingers, here's a few ideas on how you can put your tax refund to productive use. Pay off high interest rate debt. One of the best ways you can use your tax refund is to pay down credit card debt. Not only will you reduce your monthly credit card payments, but you can save money on the interest you would have paid. If you have several credit cards, pay off the one with the highest interest rate first, then work on paying down the next one. Build up savings. Use your refund to build your emergency savings or for a down payment for a home. I wish I could tell you that there is some type of account that pays more interest than a typical savings account or money market mutual fund, but the simple truth is that interest rates are below 1 percent. Regardless, it's always a good idea to have access to cash and to build your savings before you take on any debt for long-term financial commitments. Make a deductible contribution to an IRA. If you have low to moderate income and qualify for the federal Savers Credit, you can make a $2,000 IRA contribution and be eligible to claim a $1,000 tax credit. The IRA contribution will also be deductible, which can save an additional $300 on your taxes. 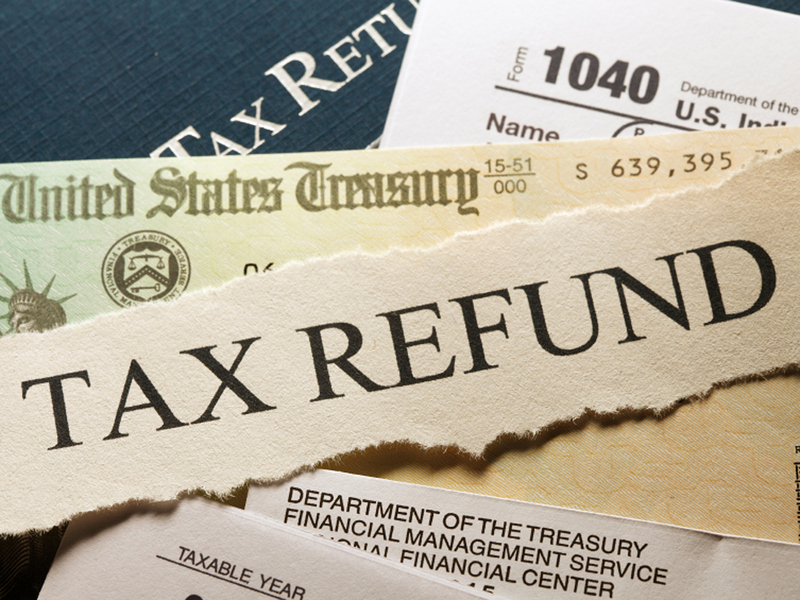 By contributing $2000 to an IRA, you could receive $1,300 in tax refunds! Dollar-for-dollar, this is the most valuable financial move for folks who qualify. Contribute to a 529 College Savings Plan. If you have children and are planning to set aside something for their future education costs, then consider opening and contributing to a state sponsored college savings plan. In these education savings plans, the savings can grow and be used tax-free when withdrawn for qualified education expenses. You may even receive a deduction on your state income tax return if you contribute to your own state's savings plan. Pay off a 401k loan. Increase the contributions you make to your employer's 401(k) plan and use the tax refund to make ends meet while the additional contributions are reducing your pay. You'll be glad you paid off this loan when you change jobs (or worse, lose one) as unpaid loans from 401k plans are taxable as income when you leave a job. Make extra principal payments on your mortgage. By making just one additional payment on a 30 year mortgage each year, you can have the mortgage paid off in about 17 years and save thousands of dollars in interest over that time.